Resin kit with photo etch and water decals. Kit is primarily designed as set for the TOS 600 Scale USS Enterprise Revell kit 04880. 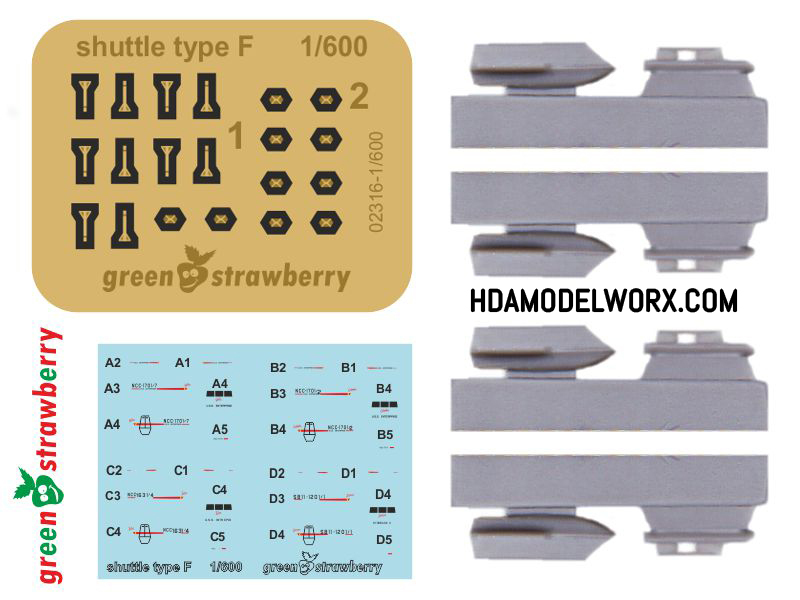 TOS Style Shuttles with excellent resin cast detail and photoetch parts that really punches up the detail for each shuttle. Complete with a full decal sheet for each shuttle! Don't pass up this kit for adding detail to your Revell 600 Scale classic USS Enterprise!